Buddha’s Birthday is a national holiday in Seoul, where most of the population gets to take a relaxing break from work, school, and daily pressures. Many temples invite guests to visit and learn about Buddhist traditions. The temples invite visitors to attend tea and lunch ceremonies. There is also a Lotus Lantern Festival the weekend before the holiday to kick off the festivities. 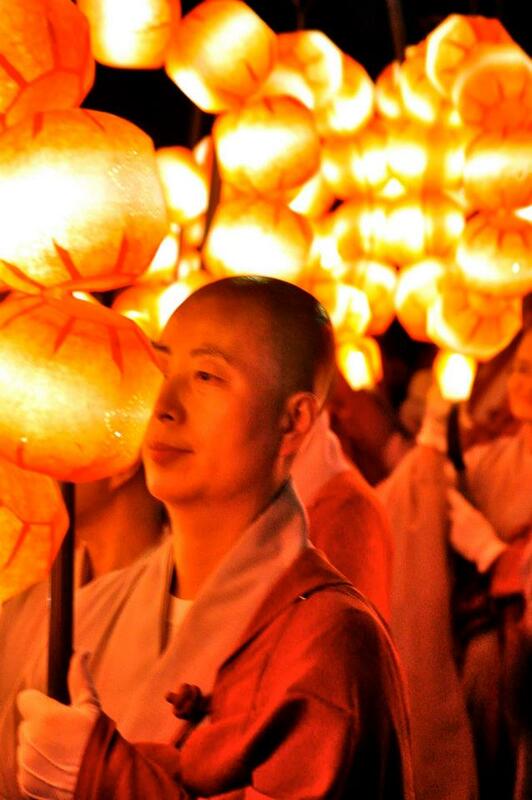 The Lotus Lantern Festival is a must see event for anyone who is interested in traveling through Seoul. The streets are adorned with vibrant lanterns and the city is bustling with exciting exhibits and chances to experience Buddhist culture. It truly is a spectacular sight to see! The lighting of the lotus lanterns is a significant Buddhist tradition, because it symbolizes a devotion to performing good deeds. It also represents bringing light to areas of the world that are filled with agony and despair. 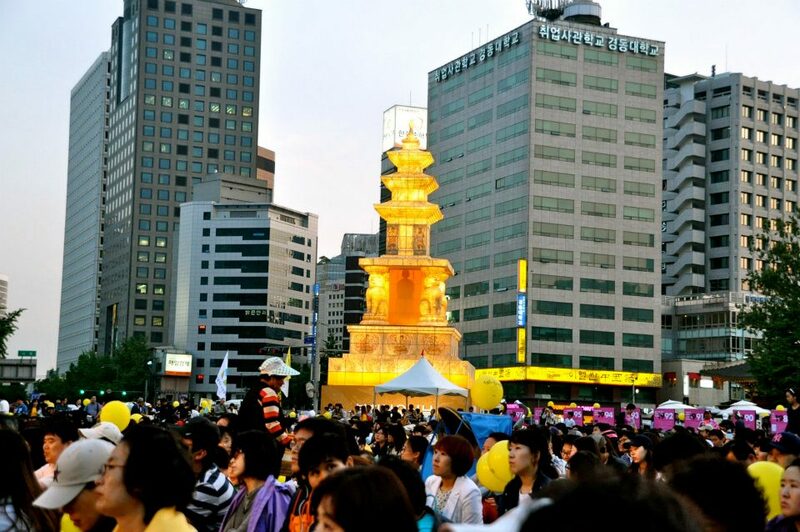 Thousands of foreigners and Seoul natives gather for the festival’s events. The main events include an opening ceremony, an exhibition of traditional lanterns, a lotus lantern parade, a post parade party and celebration, and a street festival filled with cultural exhibits and events. A second smaller parade is held on Sunday evening to end the festivities. 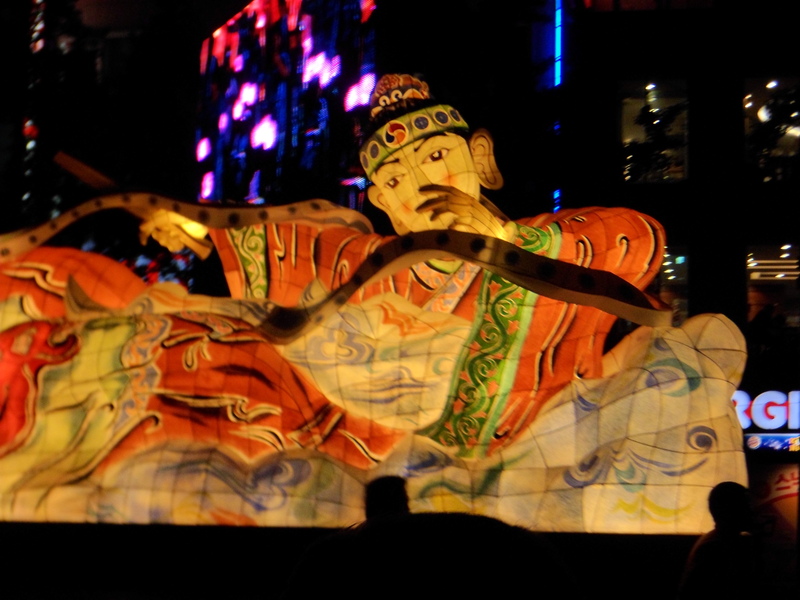 The lantern parade is the highlight of the festivals activities. 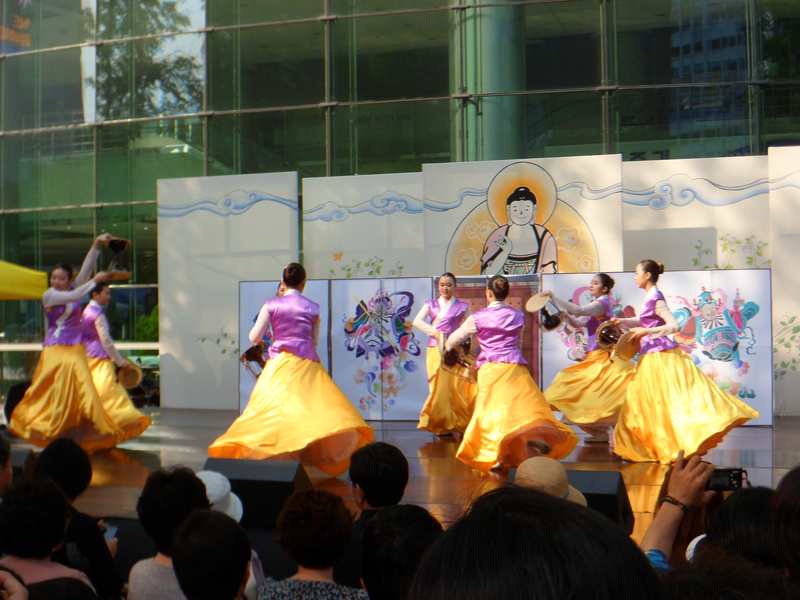 The parade route starts in Jongno in front of the Dongdaemun gate to the Jogyesa temple. To arrive in Jongno you can take subway line 1 to Jonggak station, or Jongno 5-ga station. You can also take lines 1,3, or 5 to Jongno3-ga station. 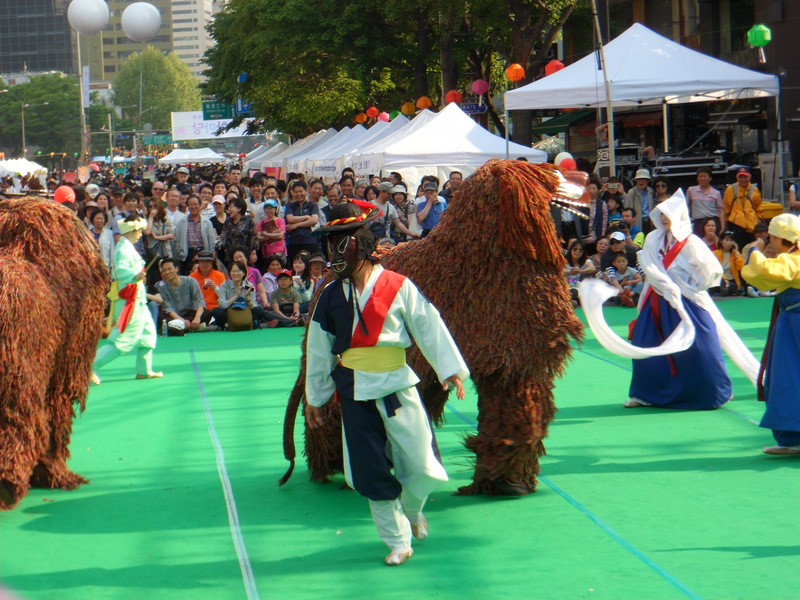 The parade runs from Dongdaeumun History and Culture Park, through Jongno, and then ends back at the Jogyesa temple. The parade lasts approximately 2 ½ hours. One other option is to arrive in Insadong by taking line 3 to Anguk station. If you arrive early in the day, Insadong is one of the most famous traditional neighborhoods to explore. It is filled with tons of shopping, amazing food, traditional architecture, and two famous palaces. It is my favorite district in Seoul to spend the day walking around. Each temple is represented by various costumes and floats. 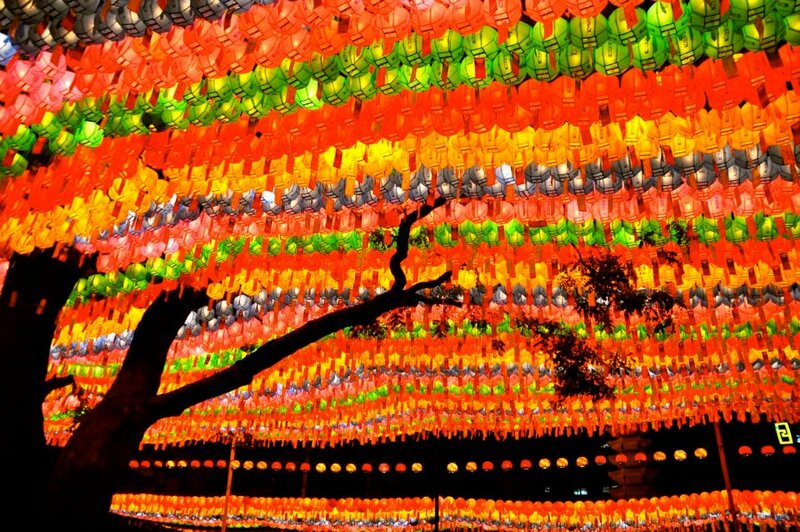 As soon as the sun goes down, the streets become alive with music and tens of thousands of unique lantern designs. Each temple is dressed in distinctive costumes and robes. Korean traditional music and drums fill the air. At Bonguensa Temple there is an exhibition of traditional lanterns. The lanterns are handcrafted from silk and traditional Korean paper (Hanji). The lanterns take many shapes such as animals, fruits, flowers, or anything you can imagine! Each shape and pattern is symbolic for different wishes such as health, longevity, and a bountiful harvest. On the last day of the festival, a street festival is held right in the heart of the Insadong district. If you have an interest in Buddhist traditions and culture, this is definitely a great opportunity to dive right in. The entire street is divided into stages, booths, and tents. They are exhibits that represent each Buddhist tradition from various countries all over the world, guided meditations, lotus lantern making, buddhist monk sand art sculptures, and dance and music performances. 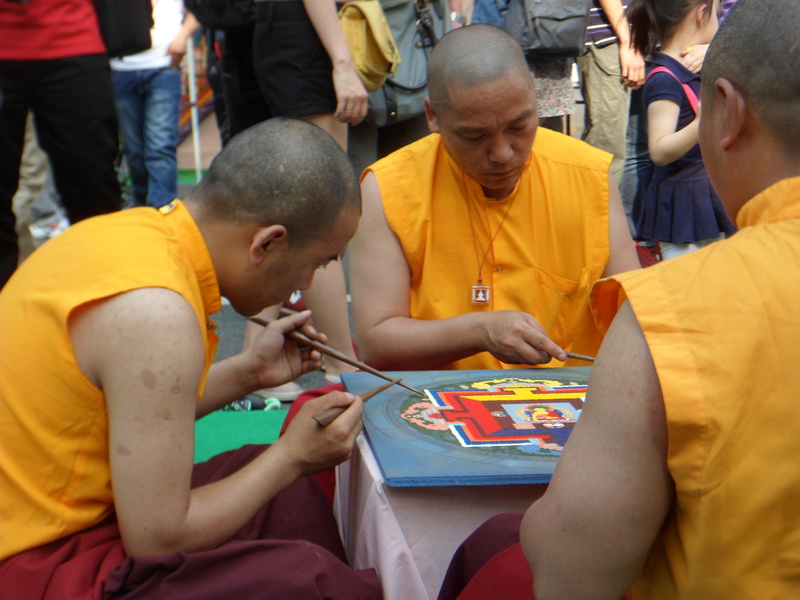 My favorite exhibit at the street festival was being able to watch the Buddhist monks create spectacular sand mandalas. 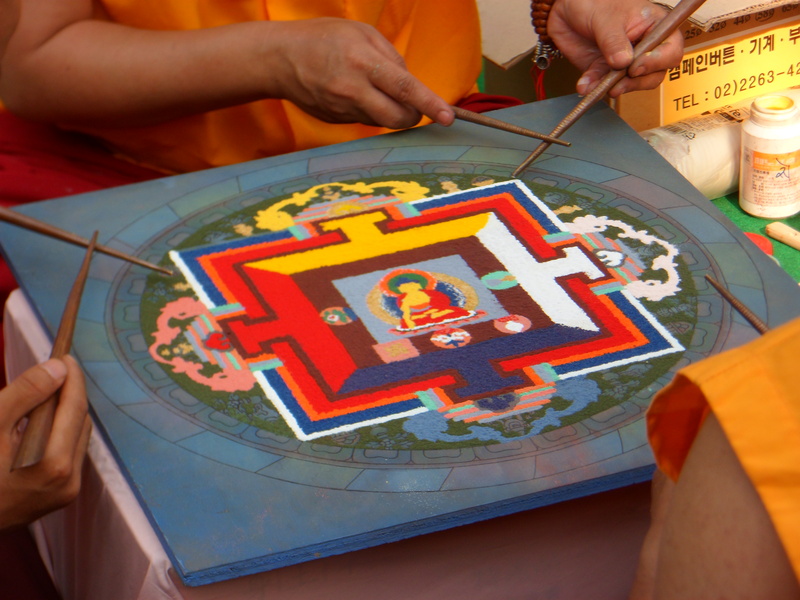 Creating sand mandalas is a Tibetan Buddhist tradition where monks create ornate detailed artwork from colored sand. Every grain of sand is meticulously placed to create a beautiful and perfectly symmetrical art piece. When the monks finish the art piece, they ritualistically destroy it to symbolize the transitory and impermanent nature of human life. Watching these monks brought back memories from my University. The Dali Lama is a presidential distinguished professor at Emory University , and I was fortunate to have him and fellow Tibetan monks visit while I was a student. I remember watching with utter fascination as the monks created the sand mandalas then dumped them into the creek that flows through campus. I found it to be an incredibly moving experience; so seeing it again in Korea brought not only a sense of admiration and appreciation, but a sense of nostalgia as well.